On December 22, Pennsylvania prosecutors dropped first-degree murder charges against two former Pennsylvania death row prisoners who have asserted their innocence for decades. In courtrooms 100 miles apart, Tyrone Moore and James Dennis entered no-contest pleas to charges of third-degree murder, avoiding retrials on the charges that had initially sent the men to death row and paving the way for their release. A Luzerne County judge sentenced Moore to 20 years and released him from prison for time served following his no contest plea. He had already served 34 years, 22 of them on death row for a murder during the course of a robbery at a veterinary office. A federal judge had granted Moore a new trial after he presented evidence of ineffective assistance of counsel, including his lawyer's failure to interview a co-defendant who testified in his own trial that Moore was not present at or involved in the robbery or killing. Before entering the plea, Moore reiterated that he is "wholeheartedly innocent" of the crime, and told the court, "I want to be home with my family." The victim's family supported the plea deal. In the second case, Dennis had spent 25 years on death row for the robbery and murder of a woman at a transportation terminal in Philadelphia. A federal judge overturned his conviction in 2013 as a result of multiple instances of prosecutorial misconduct, including suppressing evidence pointing to an alternate suspect who was a high school classmate of the victim and other evidence supporting Dennis' alibi. The court called the conviction "a grave miscarriage of justice," saying that Dennis had been convicted and sentenced to death "for a crime in all probability he did not commit." His attorney, Karl Schwartz, told the court, "James Dennis entered a no-contest plea, not a guilty plea, because he maintains the same position that he has maintained for 25 years: that he is innocent of this crime. He and his family have made this incredibly difficult decision based on his and their strong desire to have him home and free, [in] lieu of potentially years of continuing litigation." Dennis faces parole for an unrelated robbery conviction before he can be released. A federal jury awarded $22 million in damages to Nathson Fields (pictured), who was wrongfully convicted of a gang-related murder and sentenced to death in 1986. Fields was exonerated in 2009. The jury found that two Chicago police detectives violated Fields' civil rights by hiding critical evidence that suggested he did not commit the crime of which he was convicted. For many years, the Chicago police department maintained a practice of keeping secret "street files" on potential suspects. That policy was officially terminated in 1983, after exposure by a whistleblower. The secret files were hidden in a storage basement where they would not be subject to subpoena. Despite the department's claims that it was no longer keeping such files, the jury found that at the time Fields was arrested and charged, the city had a pattern and practice of keeping the secret street files in homicide investigations even though it had officially disavowed the practice. Hundreds of street files were discovered in 2011, including one relating to Fields. Fields' file contained handwritten notes on alternate suspects and lineup cards that had been withheld from his attorneys at his trial. In addition to the $22 million award for which the city of Chicago is liable, the jury also assessed a total of $40,000 in punitive damages against Sgt. David O'Callaghan and Lt. Joseph Murphy personally, which the men may be required to pay themselves. At a press conference after the ruling, Fields described the despair he had felt during his time on death row, especially as he saw other prisoners taken to their executions. "I had times that I was under so much stress I didn't think I could take any more, so this day is very humbling, and I'm so happy," he said. The Louisiana Supreme Court has overturned the conviction of Rodricus Crawford (pictured) and ordered that he be given a new trial in a controversial death penalty case that attracted national attention amid evidence of race discrimination, prosecutorial excess, and actual innocence. Crawford was convicted of murdering his young son based upon the testimony of a local doctor who claimed the boy had been suffocated, although autopsy results showed pervasive bronchopneumonia in the boy's lungs and sepsis in his blood, indicating that he may have died of pneumonia. After the trial, Crawford's lawyers presented additional evidence from experts in the fields of pediatric pathology, pediatric neuropathology, and pediatric infectious disease that the child died of natural causes from pneumonia and sepsis. The court did not overturn the conviction on those grounds, however, ruling that the local doctor's testimony had provided a sufficient evidentiary basis from which jurors could have convicted Crawford. Instead, it ruled that prosecutor Dale Cox -- who gained notoriety for telling the Shreveport Times that Louisiana needs to "kill more people" with the death penalty -- had violated the constitutional prohibition against striking jurors on the basis of race when he exercised peremptory challenges to exclude five African Americans from serving on the jury. A 2015 study of jury selection in 332 criminal trials in Caddo Parish between January 2003 and December 2012 by the human rights organization Reprieve Australia showed that, historically, Caddo prosecutors were three times as likely to strike an African-American from jury service than a prospective white juror. Crawford's lawyer, Cecelia Kappel, praised the Court's decision, saying “I am so thankful that they did the right thing in this case. It was a terrible tragedy since Day 1, and his conviction was a total injustice and the court really stepped up and fixed it, and I am looking forward to continuing to work with the DA’s office in order to reach a just outcome.” James E. Stewart, who was elected as the parish’s first black district attorney in 2015, said he would reassign the case to a new assistant district attorney for "re-evaluation ... to make a determination of a proper course of action to proceed forward in this matter.” Caddo Parish is one of the 2% of counties that is responsible for 56% of all death row inmates in the U.S. and was the subject of a recent report by Harvard University's Fair Punishment Project on outlier death penalty practices. Cox -- who in 2014 wrote a memo saying that Crawford "deserves as much physical suffering as it is humanly possible to endure before he dies" and told the the jury that Jesus Christ would have imposed the death penalty in this case -- along with one other Caddo Parish prosecutor, was responsible for 3/4 of all death sentences imposed in Louisiana over a recent five-year period. Jefferson County, Alabama is among both the 2% of counties that account for more than half of all executions in the U.S. and are responsible for more than half of all prisoners on death row across the country. It led the state in new death sentences from 2010-2015, putting more people on death row than 99.5% of U.S. counties. All five of the defendants sentenced to death in those cases were Black. But the county may soon see a decline in death sentences as voters appear to have ousted the county's two elected district attorneys in favor of prosecutors who say they are "personally opposed" to the death penalty and plan to use it rarely. Charles Todd Henderson was elected as district attorney of Jefferson's Birmingham division, and Lynneice Washington leads a tight race in the Bessemer division, where votes will be recounted on November 21. Henderson has criticized Alabama's judicial override policy, which allows judges to impose a death sentence even when a jury recommends life, saying "We serve at the will of the people .... We should honor what the people say." Alabama is the only state to permit such overrides and Jefferson County judges overrode jury's recommendations for life in 44% of the 18 death penalty cases from the county that were decided on direct appeal between 2006-2015. All 18 cases involved a non-unanimous jury, an outlier practice that was struck down by state courts in Delaware and Florida this year, leaving Alabama as the last state to allow it, and in every one of those cases, defense lawyers presented less than one day’s worth of mitigation evidence. Henderson also said he supports reviewing current Jefferson County death penalty cases for possible wrongful convictions, citing the case of Anthony Ray Hinton, who was released in 2015 after spending 30 years on death row. Hinton's trial was tainted by racial bias, inadequate representation, and junk science. Washington echoed Henderson's concerns, saying, "I am personally opposed to the death penalty because there have been so many people who were put on death row who were later found to be innocent." In addition to Hinton, two other wrongfully convicted death row prisoners from Jefferson County also have been released. Wesley Quick, who was just 18 years old at the time of the murder for which he was twice wrongly sentenced to death, was acquitted of all charges in his third trial in 2003. Montez Spradley was sentenced to death by a judge who overrode a 10-2 jury recommendation for life. It was later discovered that a star witnesses for the prosecution—Spradley's disgrunted ex-girlfriend—had been paid $10,000 for her testimony, and although the judge had personally approved half of that payment, neither she nor the prosecution disclosed it to the defense. Spradley entered a no-contest plea in exchange for his freedom in 2015. 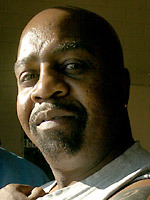 Former Ohio death row prisoner Kevin Keith (pictured) has filed a motion seeking a new trial to clear his name after evidence has emerged of systemic bias and erratic behavior by the Ohio Bureau of Criminal Investigation (BCI) scientist whose testimony helped put him on death row. Keith and James Parsons, who also was convicted of murder and was sentenced to a term of 15 years to life in prison, have challenged the work of BCI analyst G. Michele Yezzo, who testified at dozens of trials over her 32-year career. Yezzo's credibility has been questioned by two former Ohio attorneys general, a judge, a former BCI superintendent, and an FBI expert. Keith was granted clemency, but not fully exonerated, in 2010 after retired FBI expert William Bodziak said Yezzo's methods and conclusions in his case were baseless, and defense attorneys presented evidence that may implicate another suspect. Bodziak said, "There is nothing to support the conclusions she made, nothing at all. If I had been working on that case, I would have pointed out all those discrepancies and would not have made any conclusions. But it appears she was giving investigators the conclusions they wanted, and that’s the really bad part of this case." Lee Fisher, Ohio's Attorney General from 1991 to 1995, said, "I would call for an investigation into every case where her findings and conclusions were instrumental in the final result of a case. We have an obligation to the integrity of the criminal-justice system to investigate every case. We have to determine whether her findings or conclusions were suspect." A review by the Columbus Dispatch of 800 pages of Yezzo's personnel records disclosed numerous behavior problems, including threatening fellow employees, throwing a metal bar at a co-worker, and using racial slurs against a Black scientist. She was suspended in 1993 as a result of her abusive behavior, but prosecutors continued to use her analysis of evidence in many cases with little oversight of her methods or conclusions. In Parsons' murder case, is alibi that he was at work at an auto repair shop when his wife murdered held up for 12 years. Yezzo began investigating the case in 1993 and, without documenting her methods or properly explaining her findings to the jury, concluded that blood patterns indicated that Parsons' wife had been killed with a wrench that prosecutors claimed belonged to Parsons. He was convicted and spent 23 years in prison before the Ohio Innocence Project took on his case. Judge Thomas Pokorny dismissed the murder conviction and released him, saying, "What has weighed most heavily on the court’s mind is the testimony from Ms. Yezzo’s superior that the integrity of her analysis and conclusions may be suspect as she ‘will stretch the truth to satisfy a department.'" Sherman Brown (pictured), a man who was sentenced to death in Virginia in 1970 for the murder of a 4-year-old boy, has filed a writ of actual innocence with the Virginia Supreme Court saying that DNA testing on recently discovered evidence clears him of the crime. Brown's petition states: “Recent DNA testing demonstrates by clear and convincing evidence what I have maintained for over 45 years: that I am innocent of this crime. The evidence against me at trial was deeply flawed." Brown was convicted of a 1969 crime in which a woman was knocked unconscious, stabbed, and possibly raped and her 4-year-old son was killed. The woman—who is White—identified Brown—who is Black—as her attacker, and investigators presented expert testimony claiming that a fiber and hair analysis they had conducted implicated Brown. An all-White jury convicted Brown and sentenced him to death. His death sentence was reduced to life in prison when the U.S. Supreme Court struck down the death penalty in 1972 in Furman v. Georgia. Several recent developments have called Brown's conviction into question. The fiber and hair evidence used in Brown's trial was among the flawed forensic testimony recently identified by the FBI as lacking scientific validity. In 2015, the University of Virginia Innocence Project discovered a slide that contains a vaginal swab that was taken from the victim at the time of the crime. DNA testing excluded Brown as the source of a male DNA profile found in the specimen and, with 98% certainty, ruled out the woman's husband. This, Brown says, shows the DNA “came from an unidentified third man and constitutes powerful evidence of [his] innocence.” The Virginia Supreme Court has stayed Brown's petition to permit additional testing to conclusively determine whether the male DNA could have come from the victim's husband. 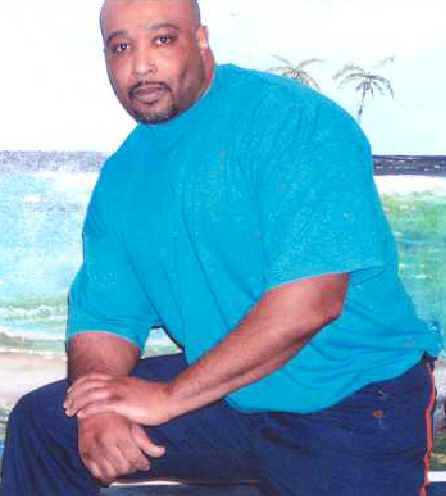 If Brown is exonerated, he would be the second Virginia prisoner exonerated after having been sentenced to death. Harris County, Texas, the county that leads the nation in executions, has served as a bellwether in recent years of the nationwide decline of the death penalty. Although the 10 new death sentences imposed in Harris County since 2010 are more than were imposed in 99.5% of U.S. counties, they are significantly fewer than the 53 new death sentences that were handed down in Harris in 1998-2003 and the 16 from 2004-2009. The 2016 Kinder Institute survey of Houston residents showed that just 27% prefer the death penalty over life sentences for those convicted of first-degree murder. Though the number of death sentences has dropped, systemic problems of prosecutorial misconduct, inadequate representation, and racial bias persist. Kelly Siegler, a prosecutor who obtained 19 death sentences, was found by a Texas court to have committed 36 instances of misconduct in a single murder case. In another case, she brought the victim's bloodstained bed into the courtroom and reenacted the murder using one of the knives from the crime scene. Harris County became nationally known in the 1990s for bad defense lawyering when a capital defense attorney slept through his client's trial. 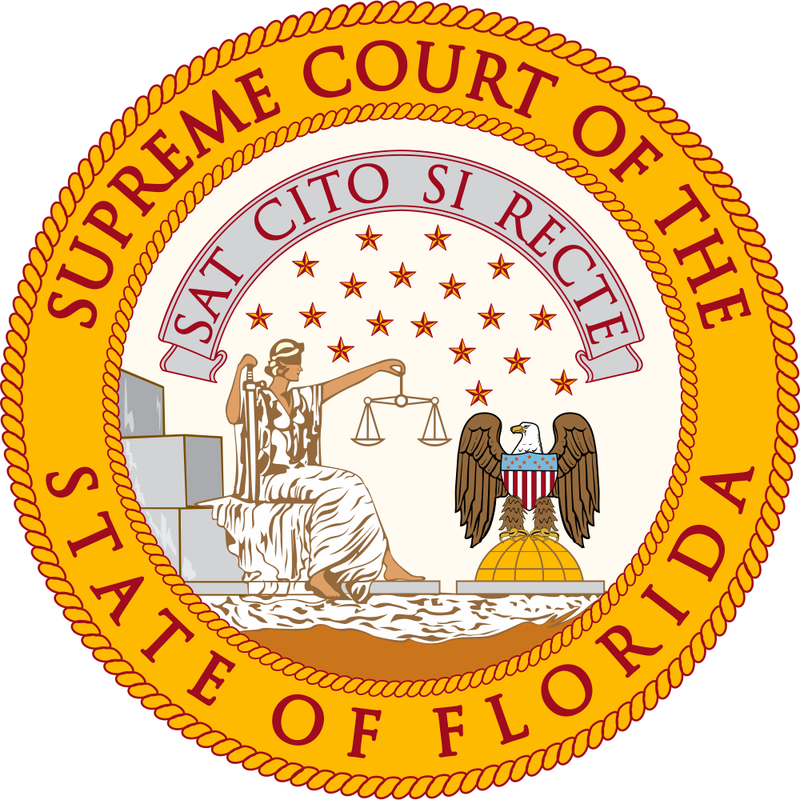 A judge told the defendant, "the Constitution does not say that the lawyer has to be awake." Today, Harris County defendants still receive ineffective counsel because of a pay system that discourages defense lawyers from seeking plea bargains or hiring expert witnesses. Every new death sentence imposed in Harris County since November 2004 (not including resentences) has been imposed upon a Black or Latino defendant. Former Harris County District Attorney Chuck Rosenthal, who oversaw 40 death sentences between 2001 and 2008, resigned after a civil suit uncovered racist emails he sent using his official email account. The U.S. Supreme Court is currently deciding Buck v. Davis, a Harris County case in which a Black defendant was sentenced to death after his defense attorney introduced racially-biased testimony during sentencing. Three Harris County defendants have been exonerated from death row, most recently Alfred Brown (pictured) in 2015. Prosecutors withheld evidence that corroborated Brown's alibi, Brown's girlfriend was threatened and eventually imprisoned until she agreed to testify against him, and officials refused requests to test DNA that may implicate another suspect.